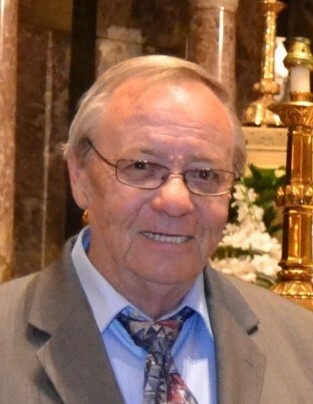 Obituary for Chester "Chet" Lewkowitz | Bayonne Memorial Home, Inc.
Chester Lewkowitz, of Toms River, passed away on Monday, March 25, 2019. He was born in Bayonne to the late Susan (nee: Puskar) and Edward Lewkowitz and was a long-time Bayonne resident, prior to relocating to Toms River. Chet proudly served the nation as a member of the United States Army and was a Captain with the Bayonne Fire Department, retiring in 2003. A devoted husband, father and grandfather, Chet also enjoyed trips to Atlantic City and days on the golf course. Most of all, he loved spending time with his grandchildren. Chet is survived by his beloved wife, Karen (nee: Pusczko) Lewkowitz; his loving sons, Scott Lewkowitz, and his wife, Dana, and Keith Lewkowitz; his cherished grandchildren, Isley Haven Lewkowitz and Knox Everett Lewkowitz; his dear sister, Eileen Vincent; his dear brother-in-law, Jake Keener; and many other loving family members and friends. He was predeceased by his loving sister, Diana Keener. The funeral will be conducted by Bayonne Memorial Home, Inc. on Friday, March 29, 2019. A funeral service with Military Honors will take place at the funeral home at 11:00 a.m. Private Cremation will follow. Visitation will be held on Thursday, March 28, 2019, from 3:00 p.m. to 7:00 p.m.